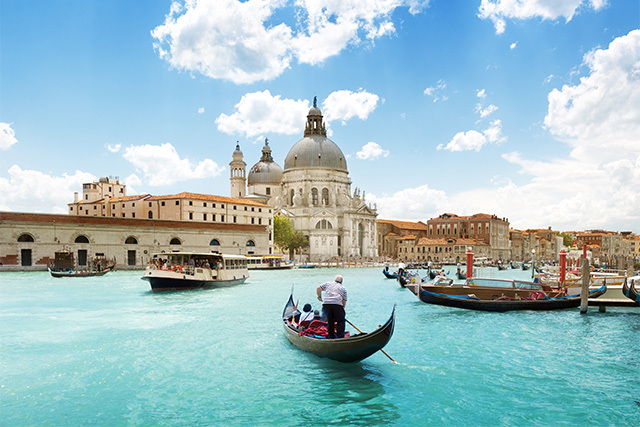 Contact UNIGLOBE Travel to book your G Adventures trip today! No matter how far inland we live, there’s something about the sea that calls to us. It’s a canvas upon which we can paint adventures we otherwise can’t do on dry land. Okay, so you probably don’t have our own private yacht waiting to spirit you away to distant shores. But we do. Plenty of ‘em. (And a couple of catamarans, too.) 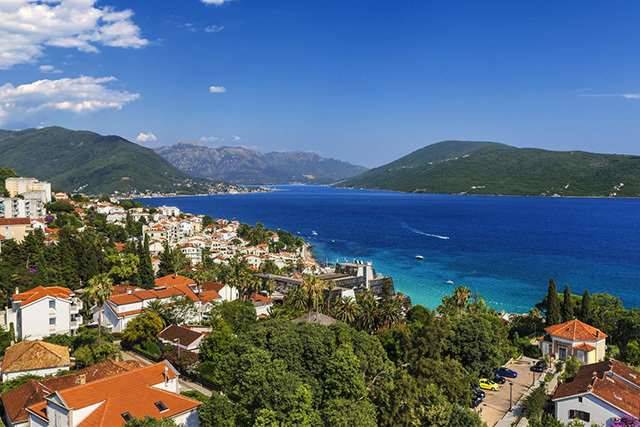 Climb aboard and explore the Greek Islands and the Adriatic Sea, including Italy, Slovenia, Croatia, and Montenegro, with a small group of fellow adventurers. 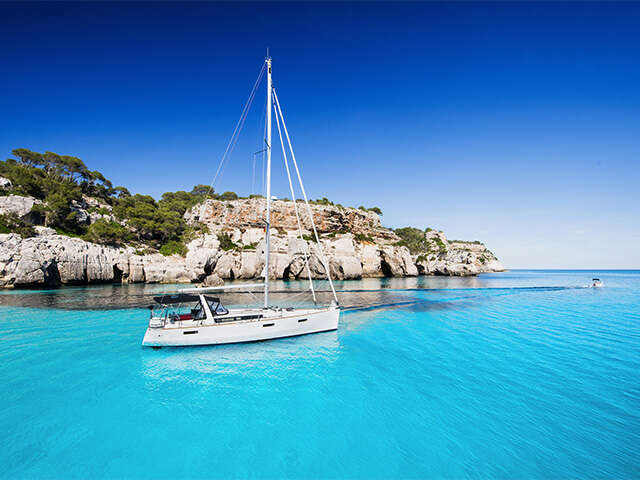 Plus, a skipper who knows your destination’s every isolated cove, pristine beach, and secluded coastal villages. 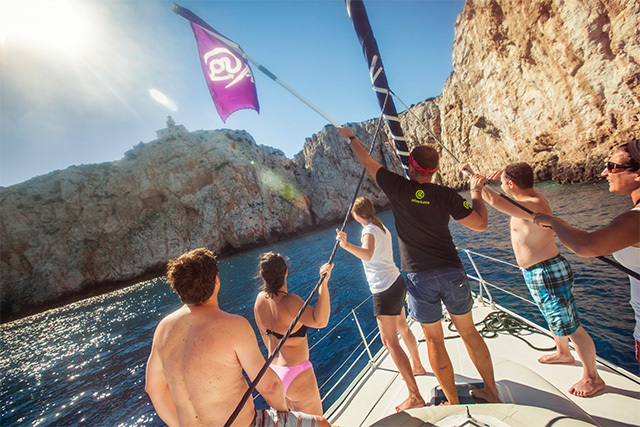 What’s life like on a sailing adventure? Squeeze the most adventure out of every port stop. With no fixed itineraries, you’re free to explore on your own terms and at your own pace. Each stop will bring you to great restaurants, scenery, lively entertainment and closer to the culture as it’s lived everyday. 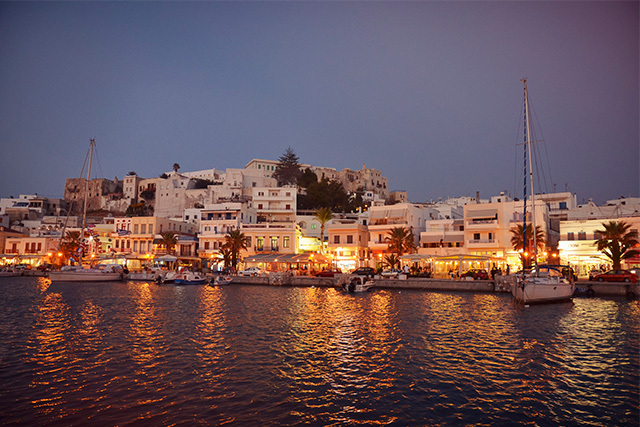 By night, our boats anchor in the most beautiful bays and picturesque harbours you’ll find. Sleep in your bunk or camp out on the deck under a blanket of Mediterranean stars. The choice is yours. We believe that small is best when it comes to group size on our yachts, so that you can get the attention and service that you deserve. No more than nine people will be on any boat, including the skipper. 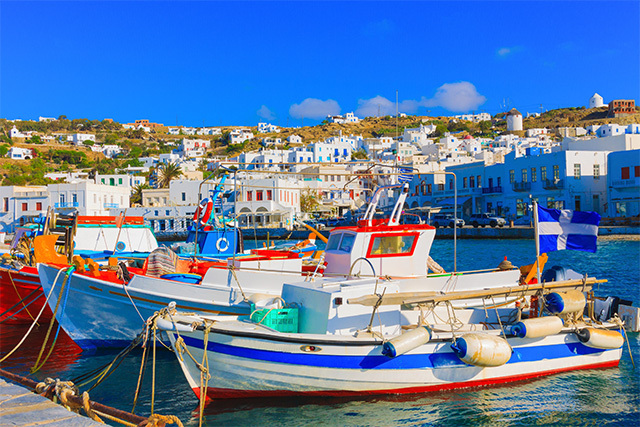 Sample the fabulous fare of the local tavernas, or maximize your travel budget by pooling your cash with your shipmates and preparing your own meals on board. British Virgin Islands, Indonesia and Sri Lanka. 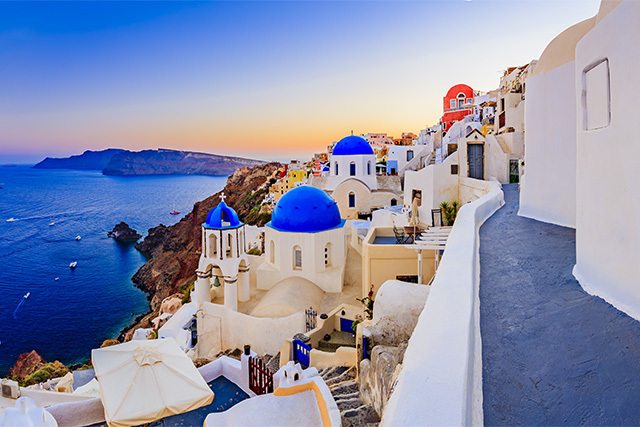 You’ve seen the whitewashed villages and azure waters of Greece a zillion times on postcards and travel brochures, but even the greatest images are no match for the real thing. 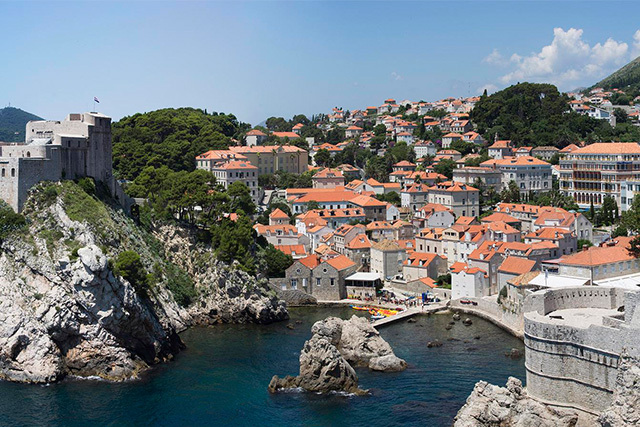 Exploring this country by sea puts you in touch with a side of it you’d otherwise miss, giving you the chance to see where history (and myth) happened and, of course, soak up as much sun as you can. While you could take in the views of the Adriatic Sea while standing on the coast we have a better idea — travel on it, not around it. This way your route is always scenic and your stops are consistently breathtaking. From the tranquil beaches to the historic ports where fresh seafood dishes and local wines await, this is a side of the Mediterranean you simply can’t miss. Conditions apply. Valid on travel booked through UNIGLOBE Travel. Offer valid new bookings only. Prices reflect applicable reductions. Select tours and departure dates only. Subject to change without notice and cannot be combined with any other offer or promotion. Subject to availability at time of booking. Offers expire on the date indicated. All advertised prices include or disclose taxes & fees. Certain destinations may include flight connections ($). Tour prices are per person for the departure date listed at the advertising deadline. Prices are for total length of stay unless otherwise stated. Airport transfers to/from the hotel may not be included. Taxes & fees due during travel or in destination are additional and may include, but not limited to, local car rental charges & taxes, one-way rental drop fees which are to be paid upon arrival, resort fees & charges, tour ‘kitty’, locally paid tour fees, airline baggage fees, departure taxes and cruise gratuities. Prices are valid on new bookings only for select departure dates and are accurate and subject to availability at advertising deadline, errors and omissions excepted. Prices are also subject to supplier's terms and conditions, tour space availability and to rate changes without notice by the supplier, G Adventures. Advertising deadline: April 10, 2019. For full terms & conditions please speak with a UNIGLOBE Travel consultant. 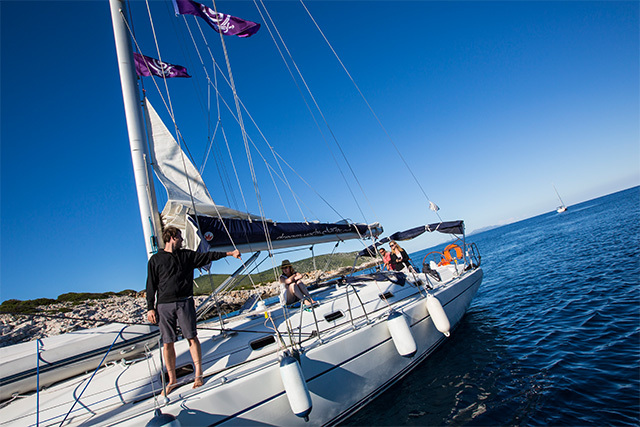 UNIGLOBE Travellers save 25% on select departures of select small-group G Adventures' Mediterranean Sailing Adventures. Tour must be booked by April 24, 2019. Valid for new bookings only. Bookings must be made by contacting your local UNIGLOBE Travel consultant. Each promotion cannot be combined with any other offers, promotions or discounts; subject to availability for select trips and departures. Does not apply to Private Groups/Departures, FIT, Independent trips, G Expedition, pre- or post-tour accommodation, insurance, airfare not included in the itinerary, upgrades, add-ons, “My Own Room” or “My Own Tent,” transfers, theme packs, or other in-country or on-board services. G Adventures reserves the right to withdraw these offers from sale at any time without prior notice. G Adventures reserves the right to cancel any booking due to unauthorized, altered, ineligible, or fraudulent use of discount. G Adventures is not responsible for technical or system errors that may interfere with or otherwise prohibit the use of the promotions. All G Adventures’ tours are subject to G Adventures' full booking conditions, found here: gadventures.com/terms-conditions-policies/. Additional restrictions and terms & conditions may apply, speak with your UNIGLOBE Travel consultant for full details.